Many have attributed Bernie Sanders’ loss to Hillary Clinton in the 2016 primaries to a poor showing among black voters. Bernie has since worked hard to make inroads there, incorporating theme racial discrimination and inequality into his campaign message. Yet questions persist about whether or not Bernie Sanders has a “race problem”. One of Sanders’ most prominent African American surrogates in his last run for the white house was philosopher and political activist Cornel West, who continues to argue that black America should embrace "Brother Bernie". On this week’s show, Mehdi Hasan and Dr. West discuss Bernie Sanders’ presidential chances and how he has progressed on race issues. This week AIPAC came to town for its annual policy conference in the capital, with speakers including Vice President Mike Pence, Senate Minority Leader Chuck Schumer and Israeli Prime Minister Benjamin Netanyahu. But the biggest name at this year’s event wasn’t even in the room. Speaker after speaker took turns taking veiled (and not so veiled) jabs at freshman Rep. Ilhan Omar for comments she made on Twitter in February about the nature of AIPAC’s influence in Washington. Yousef Munayyar of the U.S. Campaign for Palestinian Rights and Debra Shushan of Americans for Peace Now join Mehdi Hasan to discuss AIPAC’s obsession with Rep. Omar and its Islamophobia problem. Pete Buttigieg, mayor of South Bend, Indiana, is not a traditional candidate for the nation’s highest office. But recently, he’s turned heads with a slate of radical political reform proposals, including expanding the Supreme Court and eliminating the Electoral College, that may help differentiate him from the crowd. He also earned plaudits for a statement addressed to the South Bend Muslim community issued in the wake of the Christchurch, New Zealand mosque shootings, which contrasted sharply with President Trump’s equivocations on the subject of Islamophobia and white nationalism. 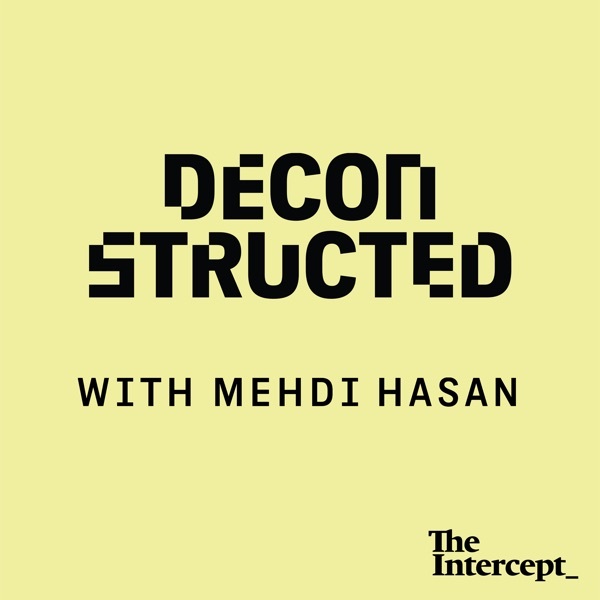 “Mayor Pete” joins Mehdi Hasan on this week’s Deconstructed to talk about his path to the White House. Intercept D.C. bureau chief Ryan Grim follows with thoughts on an increasingly crowded Democratic field. Erik Prince, the founder and CEO of the world’s most notorious mercenary company, Blackwater, landed in hot water during an interview with Mehdi Hasan at the Oxford Union in the U.K. Prince repeatedly claimed to have disclosed an August 2016 meeting at Trump Tower to the House Intelligence Committee—a claim not backed up by the official transcripts of his testimony before congress. On this week’s show, Mehdi Hasan speaks with Jeremy Scahill, author of Blackwater: The Rise of the World's Most Powerful Mercenary Army, and to Congressman Joaquin Castro, who sits on the House Intelligence Committee, about the possible fallout from Prince’s contradictory statements. Earlier this month, Rep. Ilhan Omar, freshman House Democrat and one of the first two Muslim American women ever elected to Congress, found herself mired in controversy over tweets about the American Israel Public Affairs Committee, or AIPAC, and the influence of money on congressional support for the Israeli government. Omar apologized after condemnation from right and left alike, saying she would step back and think through the criticism that she received from Jewish figures. Nevertheless, her tweets kicked off a massive debate about the limits on public criticism of Israel and the role of money in politics. Donald Trump’s rose garden speech last week announcing his emergency declaration over the “crisis” at the southern border was rambling, incoherent, and unhinged: in short, everything we’ve come to expect from the 45th president of the United States. And yet journalists treat him like a normal politician instead of stating the obvious: Donald Trump is mentally unfit for the presidency. Almost half the country agrees, and plenty of republicans, including Sen. Bob Corker and Jeb Bush, have expressed concern about his mental stability. To discuss the situation and where we go from here, Mehdi Hasan is joined by Dr. Bandy X. Lee, a psychiatrist at the Yale School of Medicine, and by Trump’s biographer, David Cay Johnston. Why Won’t the Media Discuss Trump’s Mental Instability? Hundreds of millions of Muslims the world over live in democracies of some shape or form, yet a narrative persists in the West that Islam and democracy are incompatible. On this week’s show, Mehdi Hasan is joined by the man expected to become Malaysia’s next Prime Minister, Anwar Ibrahim, and by Dalia Mogahed, the Director of Research at the Institute for Social Policy and Understanding, to discuss Islam, Muslims, and democracy. “Tonight,” proclaimed Donald Trump in his State of the Union Address, “we renew our resolve that America will never be a socialist country.” The line received a standing ovation from Republicans and Democrats alike, yet recent polls show that socialism is growing in popularity in the U.S., with a net positive rating among Democrats. To discuss America’s long-held resistance to socialism and its current rise in popularity, Mehdi Hasan is joined by Washington Post columnist Elizabeth Bruenig. Who’s Really Afraid of Socialism? Since getting elected to the senate, Kamala Harris has become one of the most progressive voices in the chamber, supporting Medicare for All and debt-free college. However, as California attorney general, Harris opposed a bill requiring her office to investigate shootings involving police officers, and threatened to imprison the parents of truant children. When questioned about her record at a CNN Town Hall this week, Sen. Harris evaded the questions and argued instead that her record has been “consistent.” Mehdi Hasan is joined by Jamilah King of Mother Jones and Lara Bazelon, a professor law at the University of San Francisco, to discuss Sen. Harris’s record and whether it will hurt her presidential chances. Is It Time For Kamala Harris To Reckon With Her Right-Wing Past? There are signs that U.S. opinion might be shifting on Israel and its illegal occupation of the Palestinian territories. But the defenders of the Israeli government aren’t going to just give up without a fight. Angela Davis recently had a civil rights award revoked for her support of the BDS movement, and Dr. Marc Lamont Hill was fired from CNN for a pro-Palestine speech he delivered at the UN. He joins Mehdi Hasan along with Lara Friedman, president of the Foundation for Middle East Peace who is a liberal supporter of Israel but also opposed to the criminalization of BDS. In the wake of the 2018 midterms, the Democratic party in congress is looking a lot more diverse—not just in terms of gender and ethnicity, but in ideology as well. One prominent newcomer is Congresswoman Rashida Tlaib, who joins Mehdi Hasan to kick off season 3 of Deconstructed. They discuss Palestine and the BDS movement, her plans for 2019, and the impeachment of Donald Trump. The presidential primary season kicks off next year and there is one big question hanging over the Democratic party: the rust belt. For the last quarter century, it was solid blue, but Donald Trump changed that. And as 2020 approaches, the Democrats find themselves wondering, is there a candidate who can take it back? Could Sen. Sherrod Brown, a left-wing, pro-labor Ohio senator who won a third term these past midterms, be the Democrats’ answer to Donald Trump in 2020? Mehdi Hasan is joined by Sen. Sherrod Brown himself to discuss his presidential ambitions, and then with The Intercept’s DC bureau chief Ryan Grim and Bernie Sanders’ former organizing director Claire Sandberg to analyze the rust belt and the 2020 electoral field. Is This the Democrat Who Can Beat Trump in the Rust Belt in 2020? U.S. media have been busy painting a very rosy picture of former president George H.W. Bush since his death last week. While he did stand up to the gun lobby, sign the Americans with Disabilities Act, and peacefully end the Cold War, he also ordered the Desert Storm operation in which 88,000 tons of U.S. bombs were dropped on Iraq, killing tens of thousands of Iraqis and destroying civilian infrastructure. The Intercept’s co-founder Glenn Greenwald joins Mehdi Hasan to discuss the difference between hagiography and journalism — and to produce a more accurate and fair obituary of the late former-president George H.W. Bush. The United States Senate voted Wednesday afternoon to advance a resolution withdrawing all unauthorized U.S. military support for the Saudi-led war on Yemen, which has created, according to the UN, the world’s worst humanitarian catastrophe and killed more than 50,000 people. It’s the first time a majority in either chamber of Congress has endorsed a bill which calls for an end to U.S. involvement in the Yemen war, a war which would not be happening if it weren’t for U.S. involvement. Mehdi Hasan is joined by Senator Chris Murphy, one of the big drivers behind this resolution, Yemeni-Canadian activist and academic Shireen Al Adeimi, and The Intercept’s national security reporter Alex Emmons to discuss what the Senate’s vote means and the next steps forward. Donald Trump lies consistently, at all times of day. He even gets up in the middle of the night to tweet, and that tweet almost always turns out to be a lie. A lie is produced each time his lips move. And this serial, non-stop, 24/7, pathological lying is a danger to democracy because Trump, in classic autocrat fashion, wants us to just accept that the only truth we need worry our little heads about is the truth that comes straight from his mouth. Daniel Dale, the Toronto Star’s Washington correspondent, joins Mehdi Hasan to discuss Trump’s top ten lies and his totalitarian obsession with controlling what his supporters in particular define as true or false — and why this is all matters. Impeaching President Donald Trump is a pipe dream, many say. Nancy Pelosi, who’s expected to be the new House speaker, isn’t keen on going for impeachment, nor is Senate Minority Leader Chuck Schumer — and a lot of people aren’t either because they’ve been misinformed and misled. Contrary to common perception, the president does not need to commit a crime in order to be impeached. Allegations of collusion aside, Trump is guilty of impeachable crimes and misdemeanors, such as the violating the emoluments clause and tax fraud. Former Congresswoman Elizabeth Holtzman, who played a key role in the impeachment of Richard Nixon, and author of the new book, “The Case For Impeaching Trump,” joins Mehdi Hasan to discuss the case for impeaching Donald Trump. The most important, historic, and consequential midterm election of our lives is over. It wasn’t quite a blue wave, but the Democrats, while unable to win the Senate, did, as predicted, take back control of the House for the first time since 2010. Mehdi Hasan is joined by Rep. Barbara Lee, MSNBC host Chris Hayes, and Women’s March Co-Chair Tamika Mallory to digest the election results and discuss voter suppression — and where the democrats go from here. Midterms Special: Who Won, Who Lost, and What Happens Next? The midterm elections are almost here and they’re haunted by the spectre of loyal Trump voters. Two years ago, white, working class voters swept Donald Trump into office as a way of expressing their anger over economic injustice, but a range of studies published since then have found that it was racial resentment — not economic anxiety — on the part of white voters that put Trump in office. In his new book, “Identity Crisis”, John Sides marshals extensive evidence to show that it was white identity and racism that best predicted support for Trump, while economic anxiety played a smaller role. Briahna Joy Gray, The Intercept’s senior politics editor, differs, arguing that economic anxiety was voters’ primary motivation. They join Mehdi Hasan in D.C. to debate their opposing views — and how that will play out in the midterms. Race or Class: What Will Drive Trump Voters in the Midterms? Over the past few days, 11 people were massacred in a synagogue in Pittsburgh, the country’s top Democrats have been targeted with pipe bombs, and two black people were executed in a grocery store in Kentucky. Contrary to Donald Trump’s warnings, terrorists weren’t coming from Mexico or Syria; they were here in America, and some of them attended his rallies. Trump, of all people, shouldn’t be shocked by the rise of white nationalism and antisemitism in America: he has repeatedly retweeted white supremacist Twitter accounts and praised neo Nazis in Charlottesville as “very fine people.” On this special episode of Deconstructed, Mehdi Hasan is joined by former Department of Homeland Security senior domestic terrorism analyst Daryl Johnson and Christian Picciolini, a former neo Nazi who left the movement and devoted his life to peace advocacy and deradicalization, to discuss America’s descent into far right terror. Is Trump Inciting Far Right Terror In the U.S.? If the media is to be believed, the United States is about to be overrun by a horde of terrorists and criminals from Central America. It’s a distraction from what has really been an immigration crisis at the border: the so-called separation of migrant children from their parents by the Trump administration. According to the latest official numbers from the Trump administration, at least 66 children are still “separated” from their families and being held in detention centers. Mexican-American journalist Jorge Ramos joins Mehdi Hasan to discuss this story of theft, child abuse, and racism.